Preliminary investigation by the Office of the Prosecutor of the International Criminal Court is underway concerning alleged war crimes committed by North Korean forces in the territory of the Republic of Korea, according to an official press release. 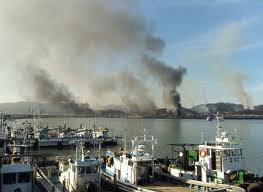 Specifically, the investigation relates to the shelling of Yeonpyeong Island on the 23 November 2010, which resulted in the killing of South Korean marines and civilians and the injury of many others; and the sinking of a South Korean warship, the Cheonan, hit by a torpedo allegedly fired from a North Korean submarine on 26 March 2010, which resulted in the death of 46 persons. The International Criminal Court may have jurisdiction over these acts, given that South Korea is a State party to the Rome Statute. In accordance with article 12(2), the Court may prosecute war crimes committed on the territory of a State party, even if the perpetrator is not a national of a State party. This investigation appears to be the first by the Court involving what amounts to international conflict, involving an act perpetrated by soldiers of one state against another. At the Rome Conference, more than a decade ago, I argued that part of the appeal of the International Criminal Court for States was the potential it provided to address what would amount to acts of aggression committed against them by other States. At a seminar in Tehran, in 1999, I explained that Iran might add a layer of protection against attacks by its enemies (it has a few) by joining the Court. I hope that States that have not yet joined the Court are paying attention, and will see the benefit of ratifying the Statute. Of course, the Court will not be able to prosecute aggression as such until 2007. And probably the United States and others would argue that incidents like the North Korean attacks do not amount to a 'manifest violation of the Charter of the United Nations' (see article 8bis(1) of the Rome Statute, as amended by the Kampala Conference). So, this is getting at the problem from another angle, by dealing with the attacks as war crimes. It will be interesting to see how the lawyers in the Office of the Prosecutor deal with such 'crimes' as the sinking of a warship by a torpedo fired from a submarine. At Nuremberg, the judges refused to convict the Nazi admirals for engaging in 'unrestricted submarine warfare', essentially because the Allies were doing the same thing. Just wanted to point out a typo in the post that the ICC would not be able to prosecute for the crime of aggression until 1 Jan 2017 (instead of 2007). Thanks for the great article, I've read several of your books and am a huge admirer.